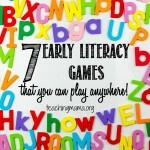 Developing Language and Literacy skills are important to work on during the preschool years. 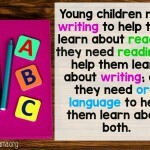 Today’s post broken down into 4 sections: listening, speaking, literacy, and writing. 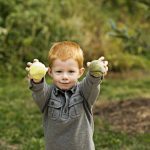 Here’s what a preschooler should work on before Kindergarten. How can your child work on listening skills? Be a good listener yourself! When your child is telling you a story, don’t interrupt them and let them finish their thought. Give clear and specific directions to your child. Be consistent and stick to your word. For example, if you tell your child they can have 1 cookie, don’t go ahead and give them 2. A fun way that we work on following directions is baking. 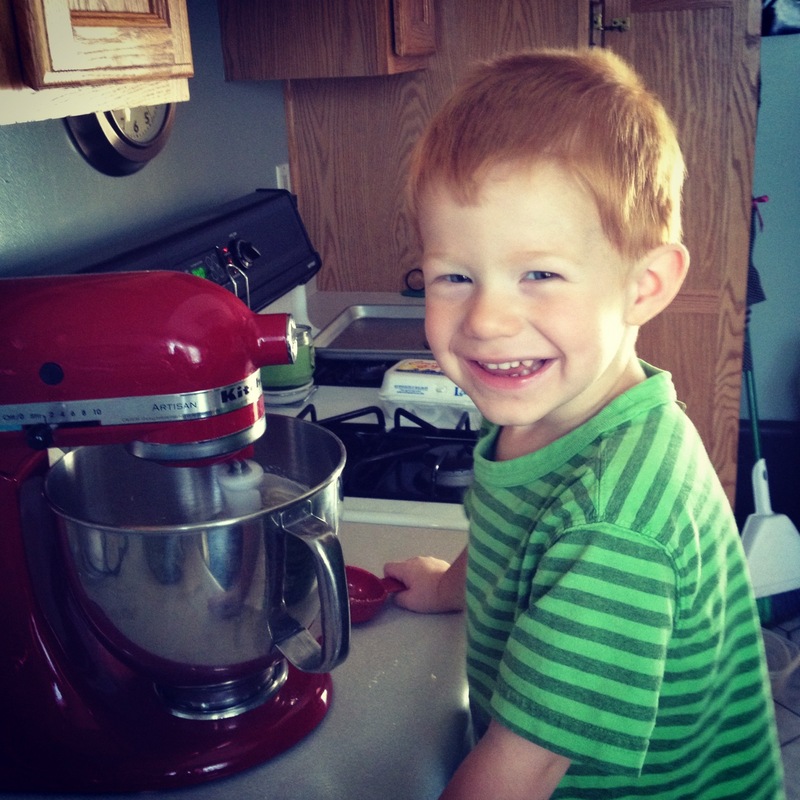 Troy loves baking with me! I give him 1-step directions for adding ingredients or mixing. It’s good for him to practice listening. I will often have him retell me what the directions were to make sure he was listening! How can your child work on speaking skills? 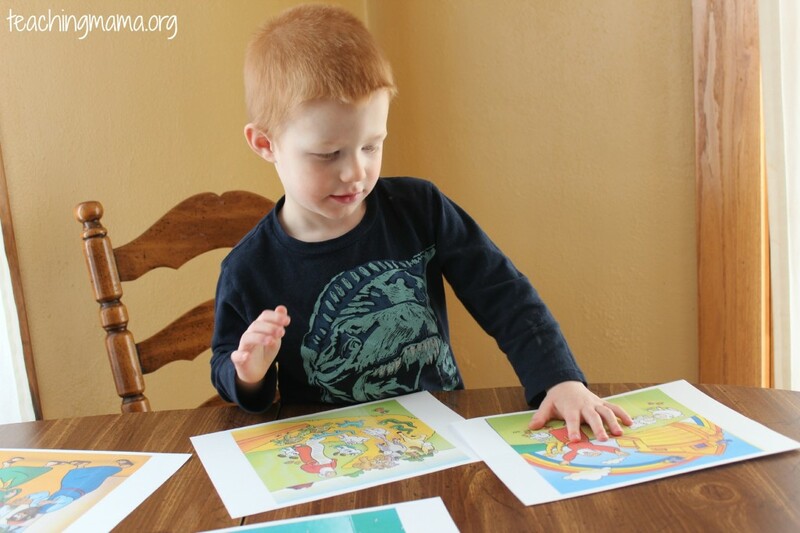 Ask open ended questions to allow your child explain their answers. Of course you can ask yes/no questions when appropriate, but use every opportunity to get your child to practice speaking. Have your child retell stories. You could have them retell a favorite book, movie, or experience. Present new vocabulary words to them in your speaking to build their library of vocabulary words. Both our boys like to talk. I know my youngest is only 18 months, but he is already learning so many words and talking so much that I highly doubt he’ll be shy when it comes to speaking. Troy has always loved talking and is rarely shy. I do ask open-ended questions to them and create a lot of dialogue with them throughout the day. I know it may seem silly to teach our children speaking skills, but some children who are more shy and reserved need this! Sequences 3 pictures to tell a story. We love reading at our house. Many portions of our day are spent reading books aloud to the kids. Since we have a 3 and 1 year old, I read a lot of picture books and baby books to my toddler. Here are a few of our favorite books. If you have a favorite read aloud book, please share with me! To work on reading comprehension this week, I gave Troy 4 pictures from the story Noah’s Ark, that we’ve read many times. I asked him to put them in order and also tell me the story. I’m always amazed at how much he picks up on! This is really a great activity to work on speaking as well. 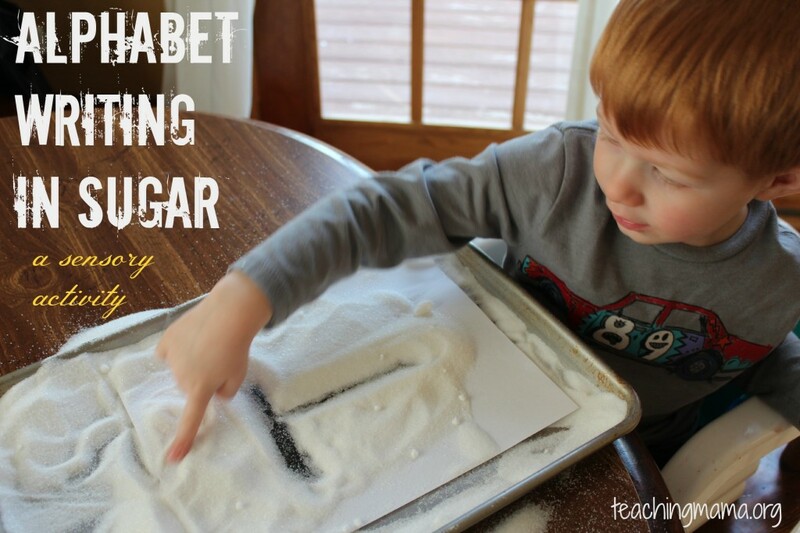 Another idea to practice writing is have them write letters or numbers in salt or sugar. 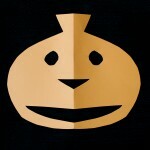 This post explains how to do this activity. It may seem frustrating to see your child write in scribbles, but it is definitely a stage in developing writing skills. It’s good for them to draw pictures or scribble with meaning. What would you add to this list? 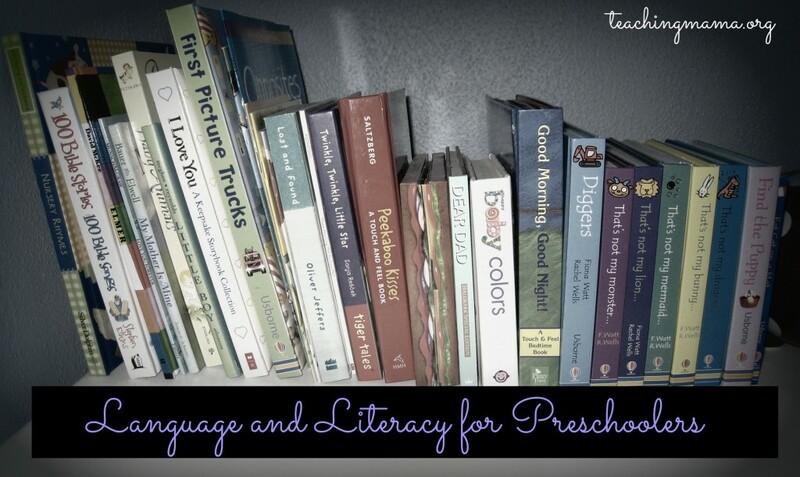 What do you think is important for preschoolers to develop in language and literacy? I would love to hear your thoughts! our favorite read aloud books are the “5-Minute” story series. 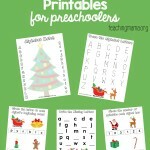 They are great for bed time because you can give them two stories without dragging bedtime out. And they have so much variety. From Star Wars to Grimms Fairy Tales!